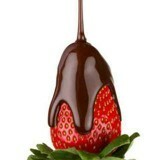 Be the first to know... About Special Offers & Promotions! Sign Up Now! Imagine a month’s worth of pampering in four days! Introducing “The Ultimate Luxury Getaway Package”. 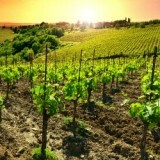 The wine tour now includes a 40 minute tour and tasting at the beautiful new Folktale Winery in Carmel Valley. What could be easier or more fun! Let us plan the adventure for you. To Book: Choose your favorite room for 2 nights from our online availability calendar then click “Book Now.” Choose the “Chauffeured Wine Tour Package” in the next step and complete your reservation, and enter credit card information in the final step. Package price will be included in quoted rate. We will contact you to confirm reservation details. Two night room reservation required in addition to Package. Taxes not included, all other Inn policies apply. Wineries and restaurants subject to change. As guests of Old Monterey Inn you benefit from a negotiated discounted rate on either a One Hour Bay Cruise for 2, or a romantic Two Hour Sunset Appetizer Cruise for 2 when you book your cruise directly with Monterey Bay Sailing. 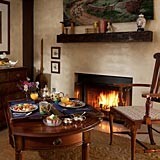 When you book online select Old Monterey Inn from the drop down, or call them directly 1-831-372-SAIL (7245). The One Hour Bay Cruise is guided by a skilled caption and is great for a short tour of the bay for guests who want to experience all Monterey has to offer but do not have a lot of time. Many times will see sea lions, otters and dolphins swimming near the boat. One of the most popular and romantic cruises offered by Monterey Bay Sailing. Enjoy a tranquil cruise on the Bay with a loved one, or best friend and watch as the sun sets on the horizon. This is one of the best sailing trips to capture photographic memories of the beautiful Bay. The appetizer option includes two hors d’oeuvres beginning with brie cheese, sliced pear, red grapes with stone ground crackers, and spicy red pepper humus with whole wheat pita. 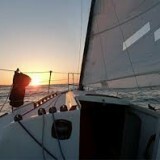 Additional sailing packages are available at the regular posted rates. Please visit http://www.montereysailing.com to book either a discounted rate package, or select from other great sailing packages on their website, including renting your own sailing boat. Your honeymoon is one of your most important vacations of your life. 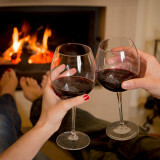 Make it extra special with our Classic Romance Package. 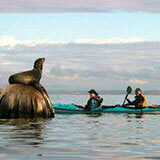 What better way to explore the Monterey Bay coast than with a kayak tour! Explore the wonderful wildlife habitats of sea otters, harbor seals, sea lions and shorebirds up close and personal. Choose from two locations: Fisherman’s Wharf and adventure out onto Monterey Bay, or the wildlife sanctuary at picturesque Elkhorn Slough just North in Moss Landing. A picnic basket complete with towels, fresh fruit, snacks, and drinks. A dinner for two at one of the restaurants of your choice from our dining packages selection. Last chance to escape as a two-some before baby makes three! Pamper yourselves and enjoy some personal time together! One hour Pre-natal massage for the mom to be. One hour anti stress massage for the dad to be. 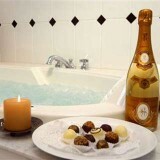 Follow a relaxing and rejuvenating massage, or just treat yourself, with Champagne and Truffles in your room! 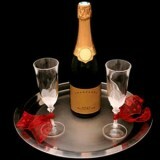 Additional selections of wine and champagne are available and vary in price. 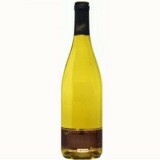 Enjoy a bottle of either our Mellow Merlot or Creamy Chardonnay! 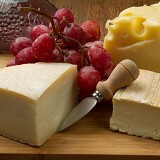 We will provide you with a selection of artisan cheeses and fresh fruit—perfect for some elegant snacking! Artistically arranged, our cheese and fruit platter will delight your palate and your eyes! Take $50 Off – Each Night! Book 2 or more nights this winter and we will take $50 off each night of your stay! *Valid for new reservations only. Special events exempt. 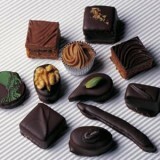 Cannot be combined with other offers or third party gift certificates. Offer expires on March 31, 2019. Looking to escape to the coast for a few days? 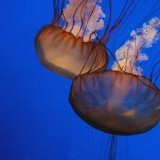 Call us at 831-375-8284 for great last minute deals on our Monterey lodging! When you book your stay at the Old Monterey Inn, you are eligible to purchase our Monterey Bay Aquarium discount VIP Tickets. Enjoy two days admittance for the price of one! You will be able to purchase these discount tickets at the inn, just ask your innkeeper after you check in! View more details on this great package. Purchase a gift certificate for a friend or loved one, and join us in our luxurious Inn for exceptional romantic getaways in Monterey.